Dr. Charles Austin addresses the crowd gathered for the October 29 ribbon cutting ceremony at the William Mayo grave site in Commerce. In 1889, Professor William Mayo founded a private college in Northeast Texas to serve local youth in their pursuit of higher education. Years later, in March of 1917, Mayo died moments before the arrival of a telegram from the Texas legislature informing him that his college would become a state institution. He was buried on his campus, the only college founder in Texas with such a distinction. 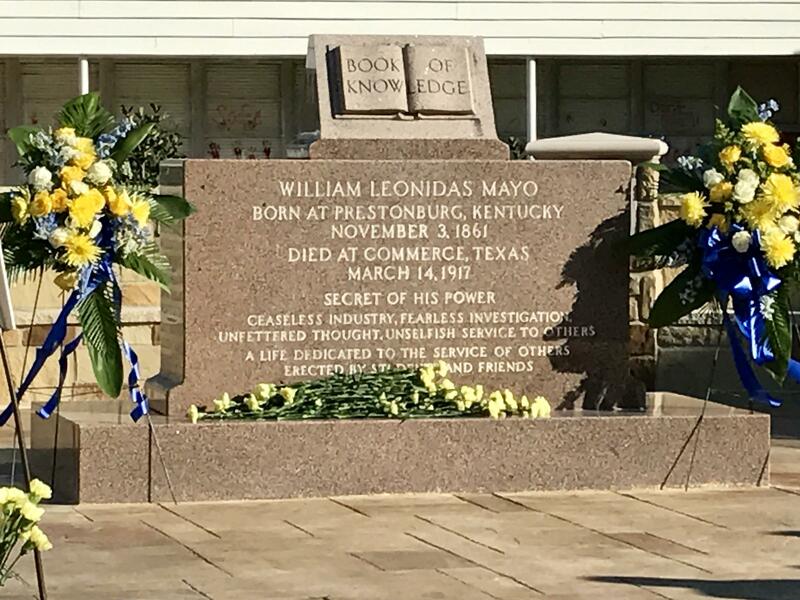 This past weekend, as a part of Homecoming activities for Texas A&M University-Commerce, Mayo’s newly-refurbished grave site was the site of a memorial gathering and ribbon-cutting. A&M-Commerce President Emeritus Dr. Keith McFarland hosted speakers including Marilyn Jones of the A&M-Commerce foundation and former ETSU president Dr. Charles Austin. Bright yellow carnations lay at the base of the grave stone which marks the final resting place of Professor William Leonidas Mayo, founder of the college that would become Texas A&M University-Commerce. 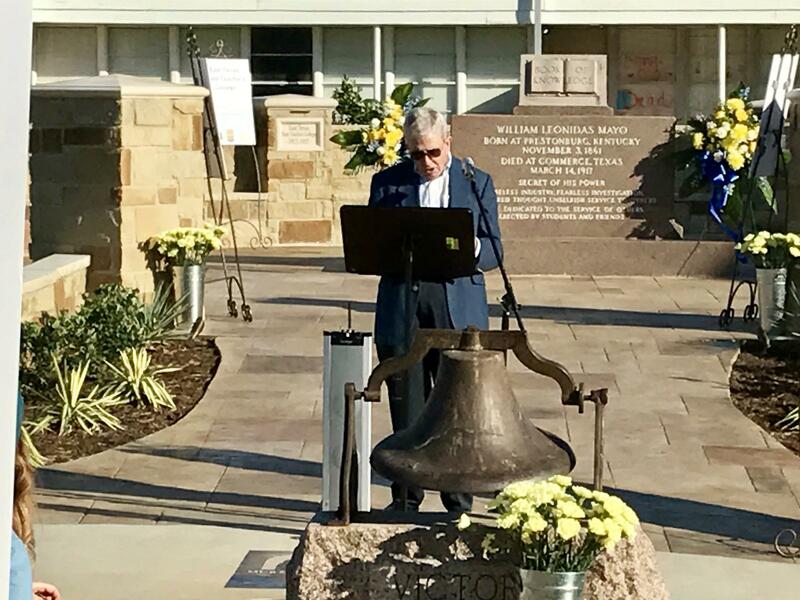 Interim university president Dr. Ray Keck closed the ceremony in which attendees were invited to lay bright yellow carnations on the gravestone. The grave site is located at Lee Street and Mayo Street in Commerce. 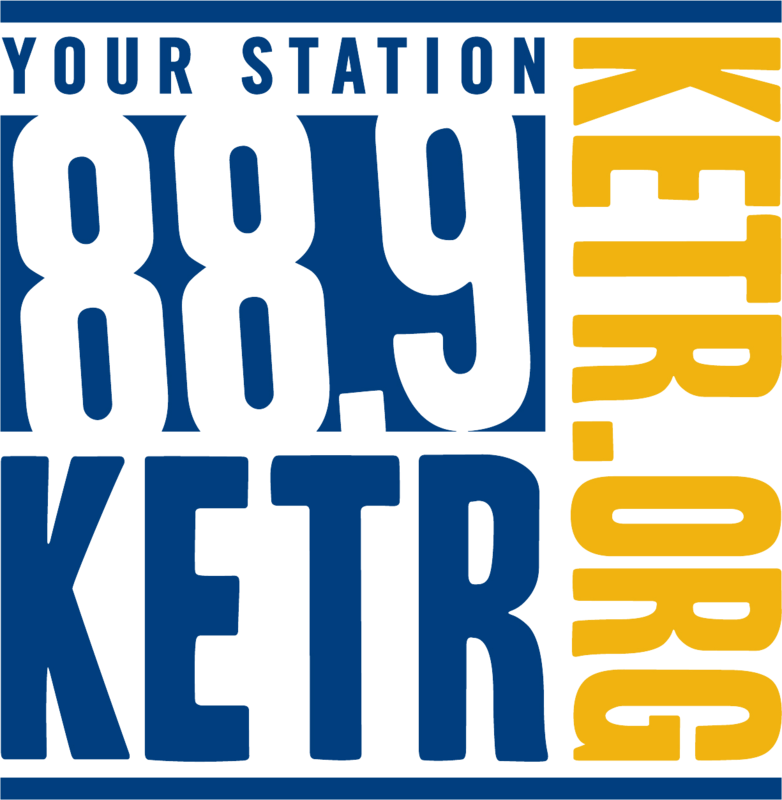 KETR's Jerrod Knight shares audio from Dr. Charles Austin and Dr. Ray Keck recorded at the Mayo Memorial ribbon cutting on Saturday, October 29th, 2016. John Sharp, Chancellor of The Texas A&M University System, announced today that Dr. Ray M. Keck has been appointed Interim President at Texas A&M University-Commerce. 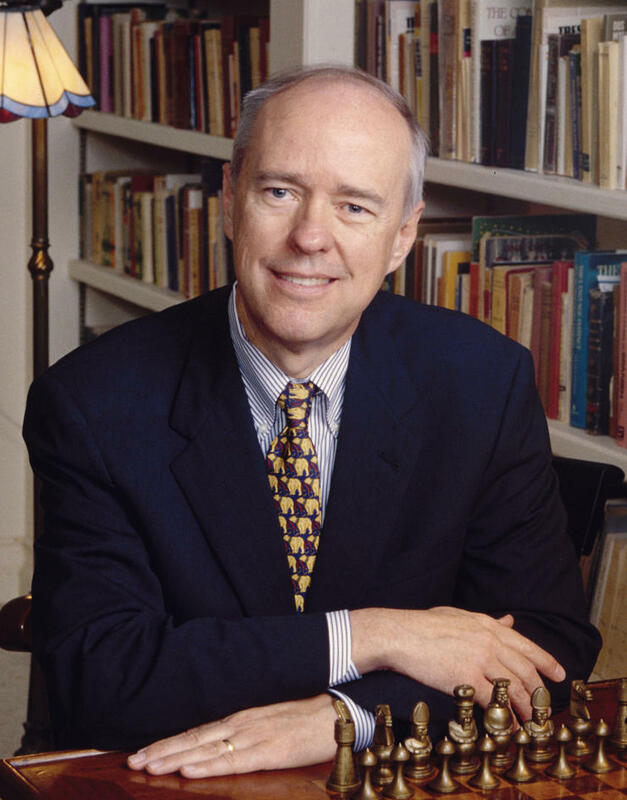 Keck succeeds Dr. Dan Jones, who served as President at A&M-Commerce from 2008 until he passed away April 29.